Nokia's cameras and imaging systems have garnered the company plenty of attention in recent years, but it looks like it's now facing something of a turning point in that area. 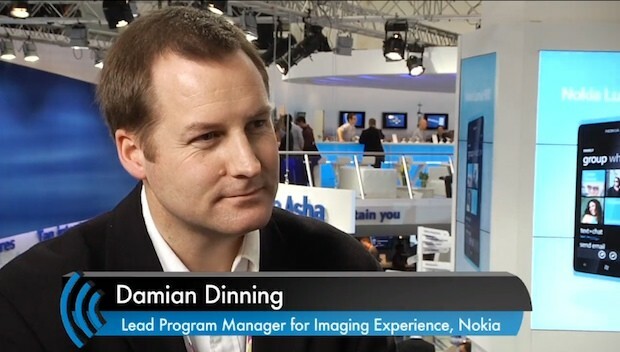 As Amateur Photographer reports, the man responsible for leading that charge, Damian Dinning, has announced that he's leaving the company effective November 30th. According to a statement released by Nokia UK, that move is a "personal decision" Dinning made following the company's decision to relocate a number of key strategic roles to Finland. As for what's next for Dinning, he rather cryptically tweeted just two days ago that he's "incredibly excited about the 10th Dec," adding that he "can't say more than that right now other than to say it's nothing to do with Nokia directly." There's also no word yet from Nokia on who will take over his role.